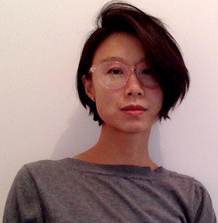 Professor Lily Cho (English) launched www.masscapture.ca in December 2017, a website presenting analyses of a digitized collection of Chinese Canadian head tax certificates known as Chinese Immigration 9 (CI 9). In use between 1910 and 1953, CI 9s tracked the movements of thousands of Chinese immigrants who temporarily left Canada. “CI 9s constitute the first mass use of identification photography in Canada,” said Professor Cho. They pre-dated passport photography but they functioned as a type of passport that allowed Chinese immigrants to re-enter Canada while maintaining their status as non-citizens. At the same time, CI 9s served as a method for capturing biometric details, occupations, lengths of stay, modes of transportation, geography and social relations. The Mass Capture website was compiled with the help of a team of data and visual analysts from the Departments of English and Humanities, Sara Rozenberg, Angie Wong and Rachel Wong; undergraduate research assistants Chloe Shi (Health Studies) and Claire Zhang (Business and Society); as well as collaborator Emilie Létourneau from Library and Archives Canada. The website is a creative and interactive presentation that takes visitors through transcriptions of CI 9s. It brings into focus the information collected through the certificates as well as what is left unanswered because of incomplete information, problems with translation and disruptions by Chinese immigrants who filled out the documents. Visitors to the site will find dynamic sections that use the Story Maps platform to present visual elaborations of CI 9 data. The visuals of the CI 9s presented on the site have been through a careful process to enhance the quality of the original microfilm images through photography. The site includes an interview with Helen Piekoszewski, the project photographer, who created the process by which the microfilm was rendered in higher resolution. Masscapture.ca is part of Professor Cho’s SSHRC-funded project, Mass Capture: Making Non-citizens and the Chinese Head Tax in Canada. Her project seeks to understand the relationship between surveillance and the production of non-citizens in Canada in the Chinese exclusion era. Mass Capture brings together analytical approaches from literary and cultural studies, history and archival studies, surveillance studies and visual cultural studies to understand: 1) how CI 9 certificates demonstrate the ways in which the state demands a visually stable and identifiable subject and 2) how subjects of these certificates resisted or contested the processes of mass capture. Visit the site at www.masscapture.ca.